I cannot contain my excitement right now!! I have been impatiently waiting for this book since December of last year. All I want to do is cry since I have to wait another year for the next book to come out. I absolutely fell in love with the first novel and this one was just as good, if not better. It exceeded my expectations and then some. Savannah makes a promise to the vampire council that she will no longer date Tristan. There has been a treaty between the vampires and the Clann for generations. With Savannah being a dhampir, both sides are afraid that she may give in to her bloodlust and hurt Tristan. Something terrible happens and Savannah is determined to stay away from Tristan to protect the people she loves. Savannah also has to struggle with her new vamp senses. There's no way for me to not spoil this story so I will leave my synopsis there. I really hope things will eventually work out for Tristan and Sav. Their attraction is undeniable and Tristan will fight the Clann and vampires to get her back. Sigh....I love Tristan!! I want to scream at the top of my lungs!!! I don't think words can describe how much I love this series. 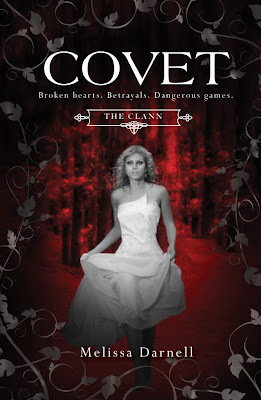 The author creates this amazing world of the Clann and vampires. There is a new species introduced in the book but my lips will remain sealed. The first book was pretty heavy on the romance but this was more of the paranormal. Don't get me wrong, there are still some scenes that were steam worthy. I was not expecting the outcome in the last chapter. I'm excited, sad and intrigued at the same time. 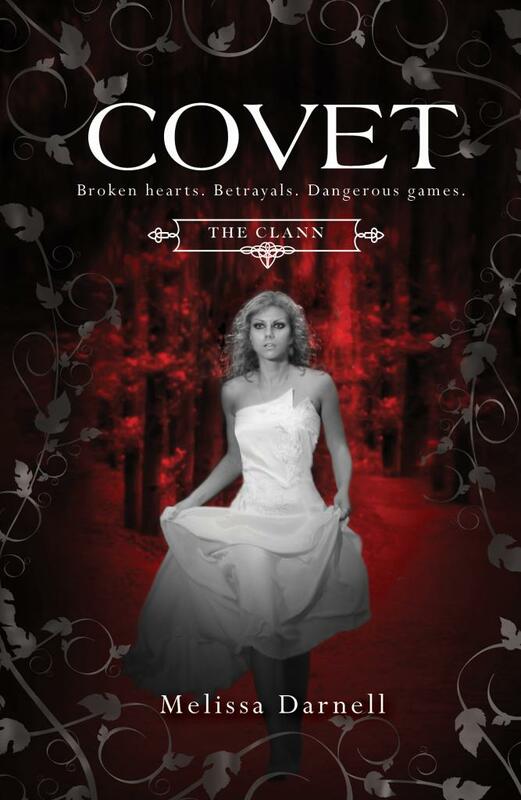 There's also a sneak peak(more of a tease if you ask me) at the end of Covet for the next book, Consume. How can you do this to me?!? I need more of a tease than that. Can I get a blurb or something? This is killing me!! I'm very close to begging for it.